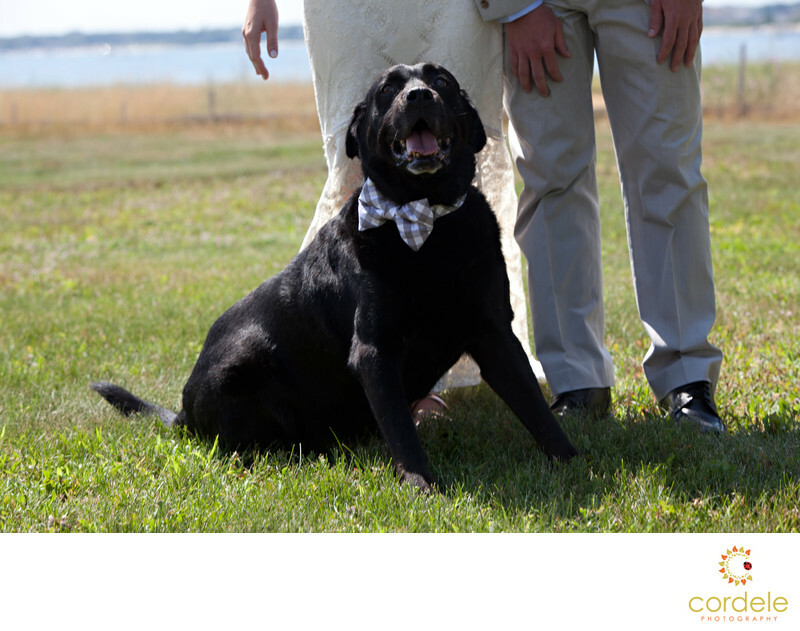 Dogs in weddings always make me smile. I personally LOVE dogs, and whenever anyone wants to dress a dog up for a wedding photo, I am ALL game! This dog came on the couples engagement shoot, and I swear he just knew I was a dog person. He came right up to me, and sat with me. I wanted to steal him and put him in my car to take home, he was so sweet. When the wedding came, the bride and groom wanted to make sure that he was represented in the photos. I was happy to oblige. Throughout the day, the dog could be seen coming and going. He was in his prime greeting guests and making sure his presence was known.